Last Dance (for awhile) in Santa Rosa | Indigenize! Soon I’ll be moving to Boulder, Colorado to begin teaching ecopsychology at Naropa University. So many things have happened – if I get time, or feel like procrastinating from packing boxes, I may write about it. 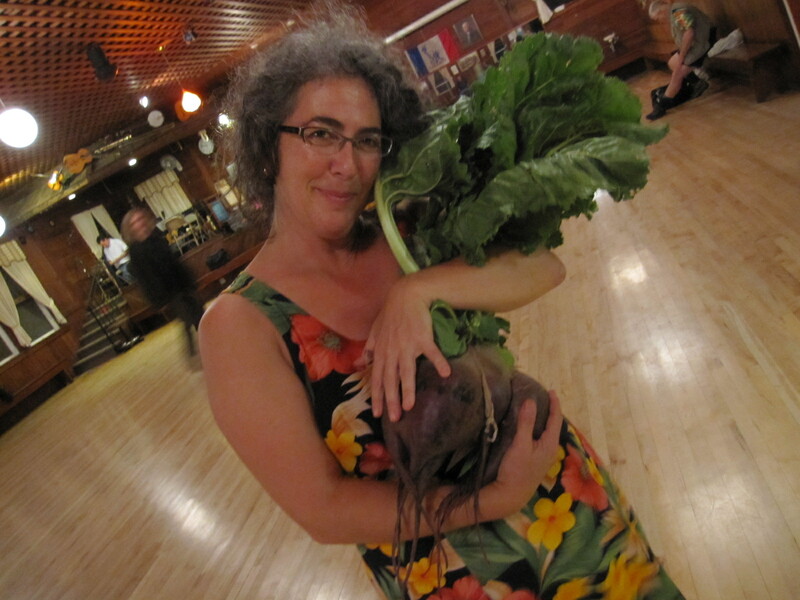 For now, I just want to announce for those of you in the North Bay Area of CA that on Friday night I’ll be calling the Santa Rosa contra dance on Friday with my favorite band, StringFire – and beforehand, this sweet North Bay dance community is throwing me a farewell potluck. Come if you can for one last-for-now hug, twirl, tear. (just before the Santa Rosa contra dance)Monroe Hall, 1400 W. College Ave, Santa RosaCome say goodbye to our beloved Tina Fields – dancer, friend, caller extraordinaire and all around good egg!She is moving to Boulder, Colorado to accept a teaching position at Naropa University.Please bring a nice main course, salad, or appetizer dish to share. ****Please RSVP to Emily with what you are bringing****Questions? Email Emily (ekshaul [at] gmail.com). PS – Go green & bring your own utensils/plate. (Facebook link 05 July) Sorry I will be running the Palo Alto English that night. (Facebook link, 27 June) Oh wow, Em and Moira – I’m so touched! Thank you! It’s already so hard to leave you folks here, & this makes it even more poignant. I’ll call that night with lumps in my throat. Awww…we may have to have emergency guest callers standing by just in case – STAT! No sorry I can’t make this. Tina – all the best in your new adventures. Big hugs! Safe travels and may many friends cross your path. Congrats on the new job! Wish I could make it. Chances of making it to Santa Rosa from the Peninsula by 6:00 pm on a Friday night are just nil, and I can’t take that day off to do it. Tina will be in my heart throughout. Boo-hoo Tina, I’m really sorry to miss this, but please send me your new address once you’re settled. . .you must remain on my Christmas/Solstice/holiday card list! I wish I could come say goodbye! Have a great evening and a smooth transition to Boulder! Drat! I’m calling that night. Definitely fare-thee-well, happy Tina. Can’t make it … Have to run the English Dance in Palo Alto. Good Faring, Tina! I wouldn’t miss it … but we will definitely miss YOU, Tina!